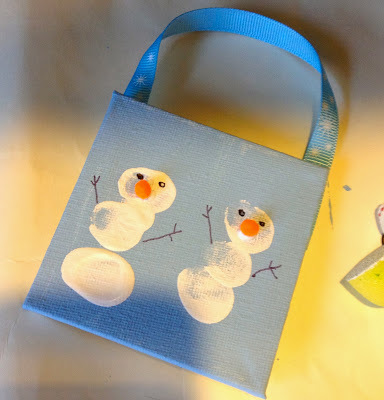 With winter in full swing, I thought it would be fun to share ten fun and easy winter crafts and activities for kids. These are some of our favorites from posts that we have featured in the past & bound to keep your kids “snow happy” on these cold winter days! 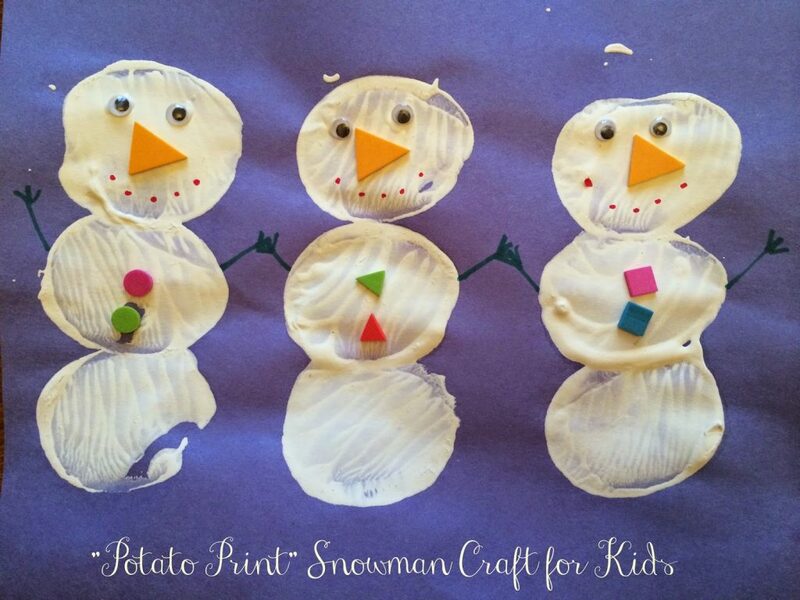 This is a fun craft that allows you to use a potato as a paintbrush. Put some white paint on a paper plate. Cut a potato in half & dip into white paint. 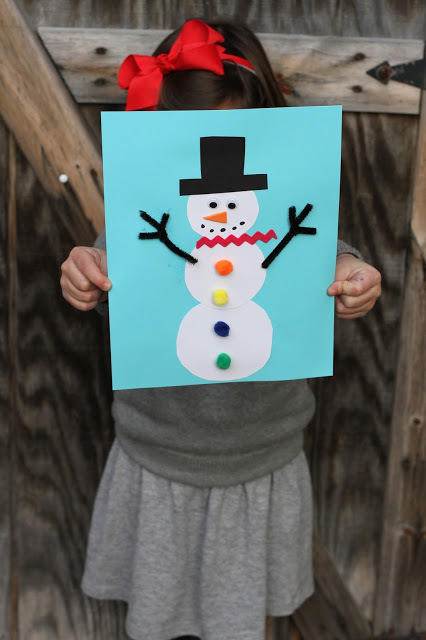 Make snowman on colored paper. Let dry. Decorate snowman. Fill a quart size Ziploc bag with shaving cream and seal. 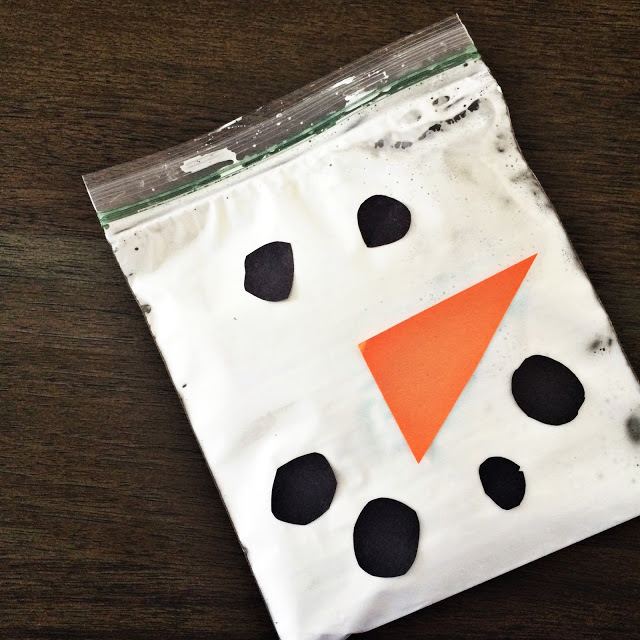 Cut out a snowman’s nose using orange construction paper. Using black construction paper, cut out eyes & a button mouth. Glue the nose, eyes, & mouth onto the bag. 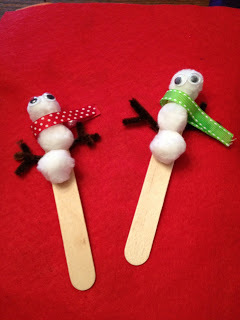 Use cotton balls or white pom poms on a popsicle stick. Glue on eyes & pipe cleaner arms. The scarf is a small piece of ribbon. Directions: Paint the canvas blue. 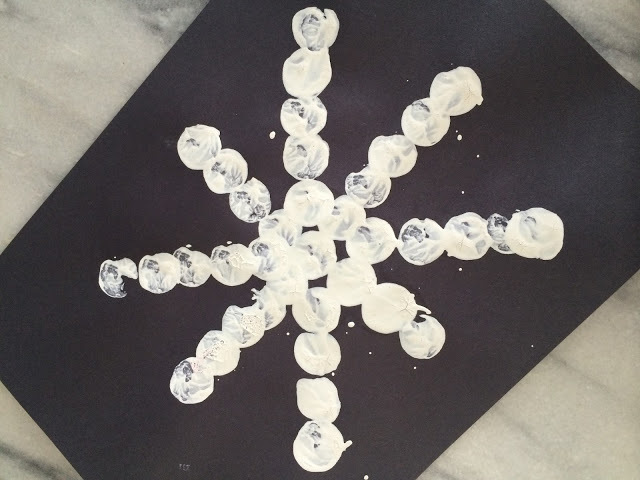 Once dry, have the child make a snow man using their fingerprints in white paint. Once dry, draw on arms & eyes with marker. Last, glue on pom pom nose & ribbon to hang. 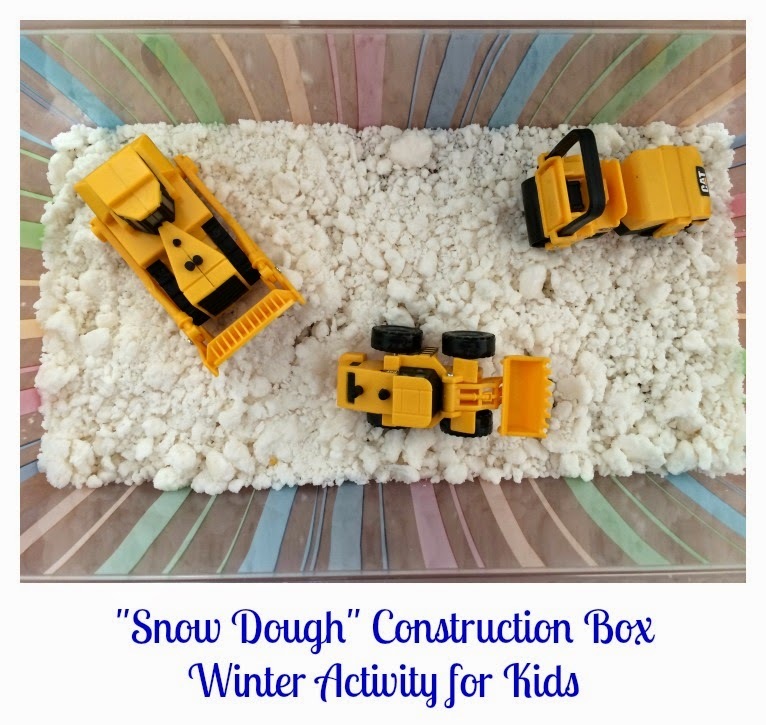 My boys loved this activity & kept them busy for many hours. I kept our snow dough in this Tupperware so it was easy to close and put up & kept it lasting for a few weeks. 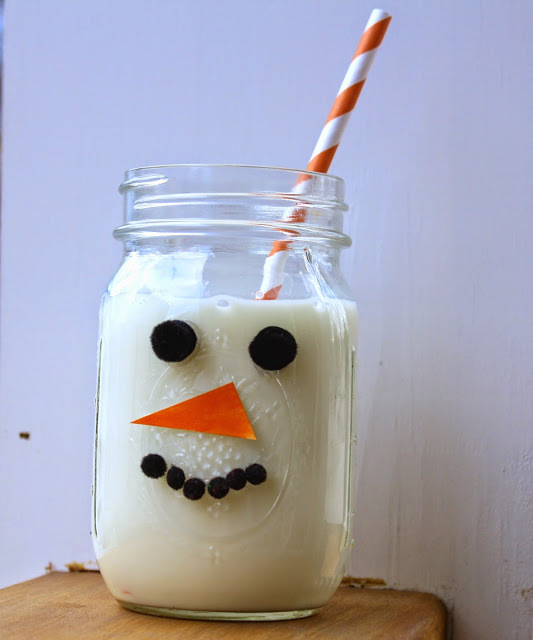 It’s super easy to make and my boys are already asking to make it again. Mix all ingredients in a saucepan. Place on medium heat and stir continuously for about five minutes (the mixture will thicken). Let cool before playing. 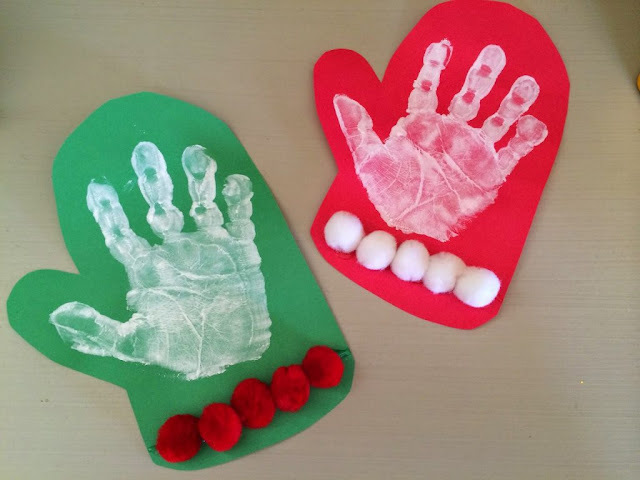 We hope you enjoy these fun winter activities and crafts for kids!